Association of Horizon is a community. It is a place where adults with and without physical disabilities empower and enrich the lives of one another through lifelong friendships and recreation. Horizon Summer Camp, the organization’s flagship program, is Horizon’s primary vehicle for bringing life changing experiences both to campers and volunteers. Horizon’s services are uniquely aimed at serving volunteers and adults with physical disabilities alike. 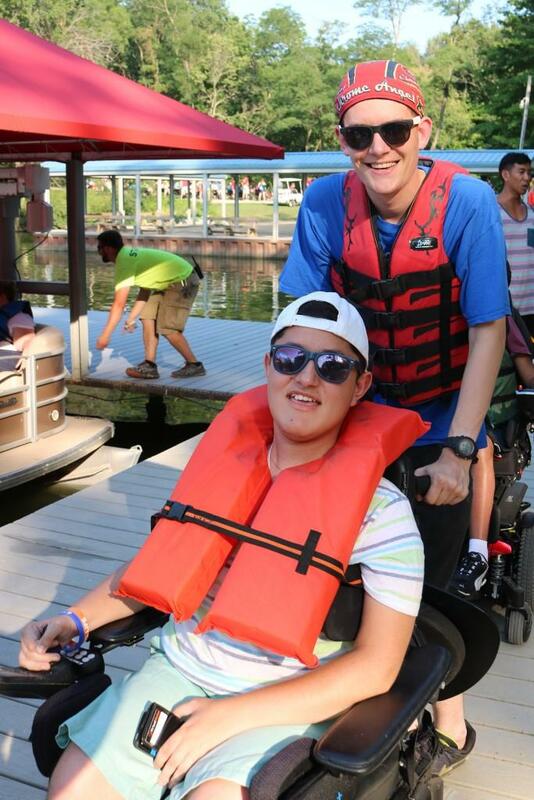 At camp, adults with physical disabilities (campers) are paired with able-bodied volunteers. Together, the pairs participate in a variety of recreational activities including: swimming, horseback riding, and boating. Campers and volunteers also enjoy performing arts, live entertainment, and educational workshops. Such activities have the necessary accommodations to ensure each camper’s safety while promoting the social and emotional enrichment of both campers and volunteers. Horizon strives to create a culture that fosters and celebrates the identity and uniqueness of every individual as well as the commonalities shared among all of humanity. To learn more about Horizon’s work, visit What We Do.